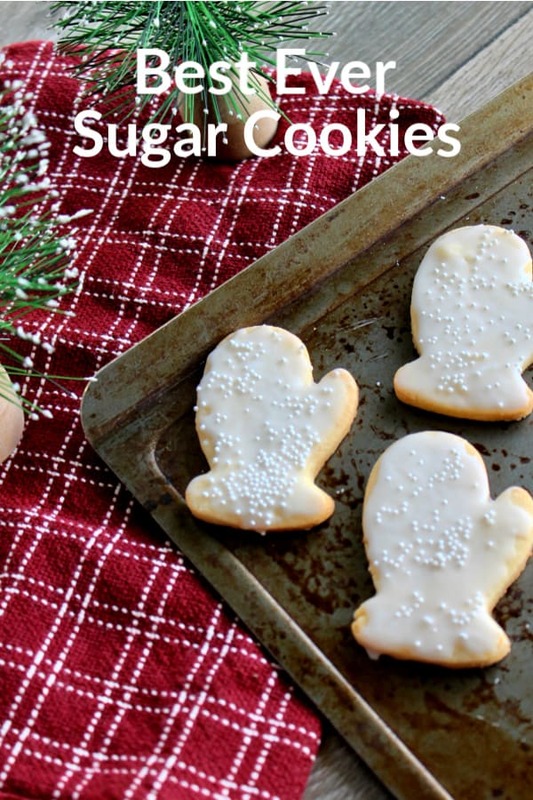 This quick and easy Christmas sugar cookie recipe is one of my very favorites! It only a few ingredients and the cookies are delicious! These are perfect for icing or topped with sugar crystals. Hello Friends! Are you in the holiday spirit yet? We have started to decorate our home and for the first time, put up our Christmas tree right after Thanksgiving. 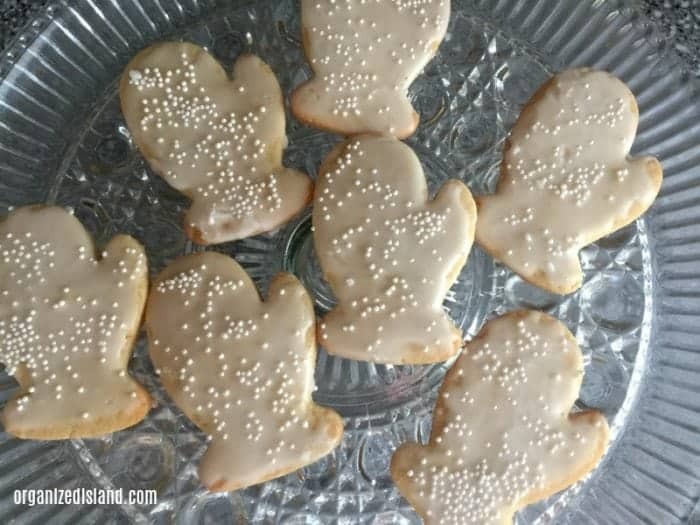 We have some fun holiday celebrations and today I am sharing a simple sugar cookie recipe that I love making for Christmas cookies every year. It is one of our most popular Christmas cookie recipes and they never last long because they are so light and tasty. They are perfect when you need a cookie recipe for a cookie exchange or are looking for a tasty Christmas dessert idea. The ingredients are easy to have on hand and it is the perfect cookie for rolling into cut out cookie shapes. I have a lot of cookie cutters and this recipe is perfect for them. Mix together sugar, butter vanilla and egg and milk. Add dry ingredients in a separate bowl and combine with butter mixture. Roll out dough to ¼” thickness and cut with a glass rim or cookie cutters. Place on greased, non-stick or parchment covered cookie sheet. If desired, top each cookie with colored sugar sprinkles. Bake 10-12 minutes until edges are golden brown. There is nothing like homemade sugar cookies to bring a smile to someone’s face and who doesn’t want to spread some holiday cheer? 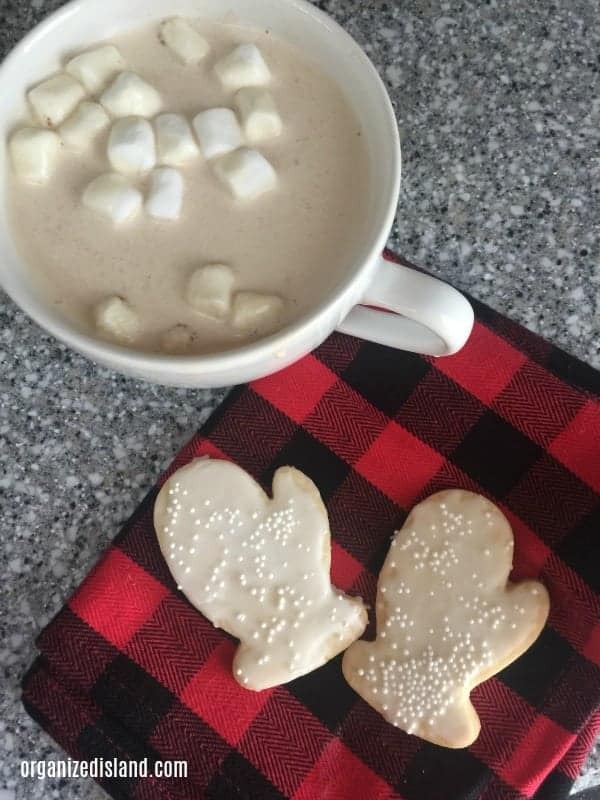 These cookies are great plain, topped with sugar decorations, but you can also make a light icing with 1 cup powdered sugar and 1 tablespoon of milk. Mix together and spread over cookies. Let dry completely. 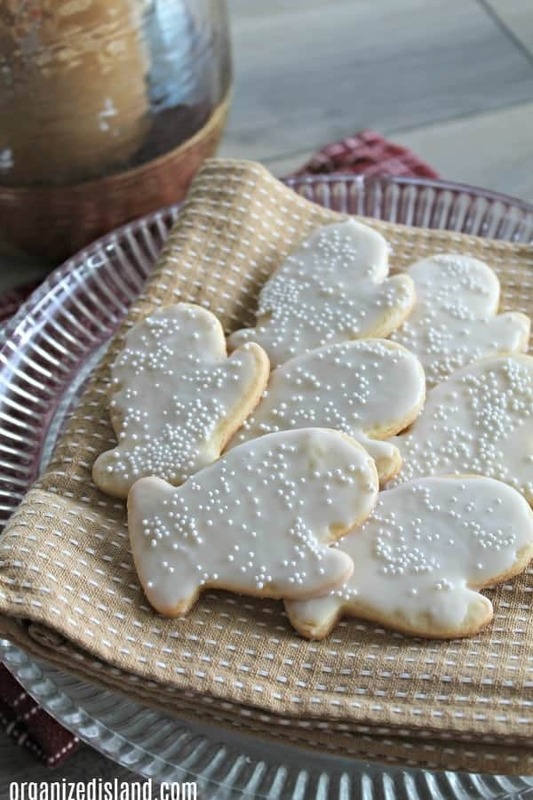 It is one of our favorite Christmas sugar cookie recipes! We hope you enjoyed this tasty recipe idea. We strive to help you make the most of your time. If you loved this recipe, please share it with friends! They look so good! I can even see having a bit of maple syrup in them. I love that we both wrote about cookies today! Mmm maple syrup sounds like a great addition Tamara! These look fun and delicious. I Pinned your recipe. Thanks for sharing. My four year old niece is coming to spend Christmas at my home for the first time and I can’t wait to make these cookies with her. 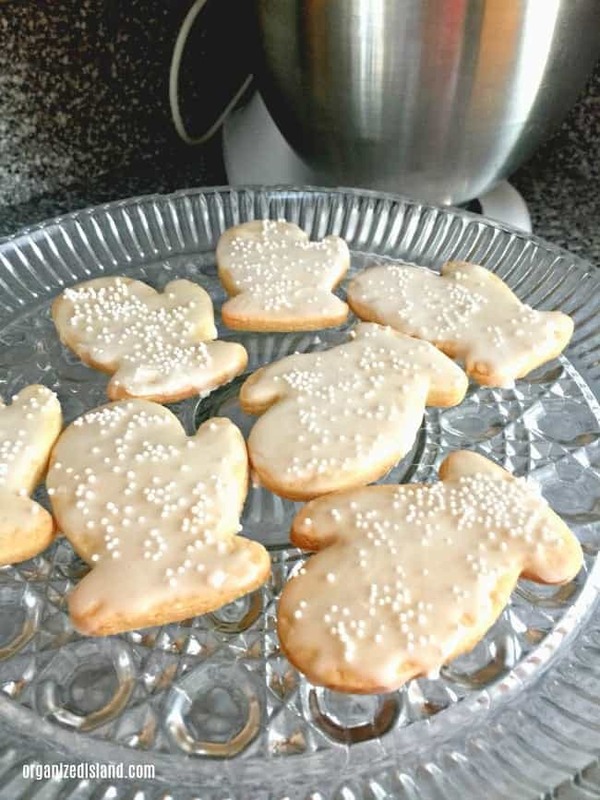 My daughter and I have been looking for sugar cookie recipes and have added yours to our baking list. Thanks for sharing on MM. 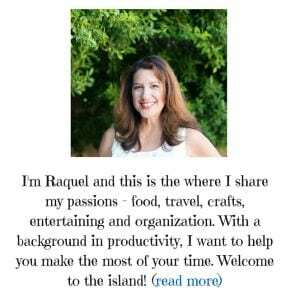 Pinned and will be featuring your recipe on a next week’s party. 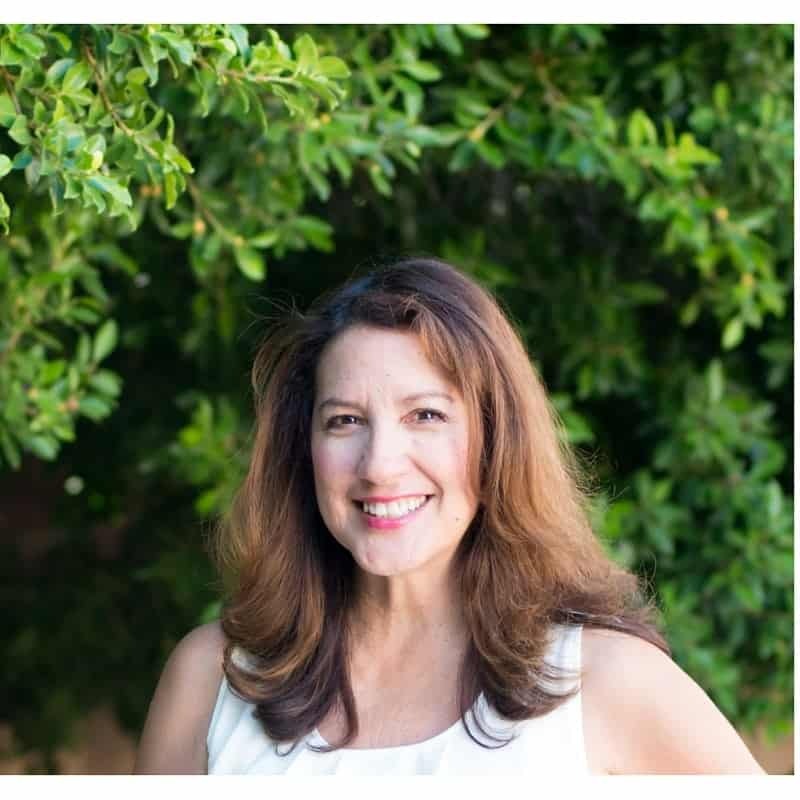 Thank you so much Erlene! We love them!